Home » Banking , Tips and Tricks » How To Link Your BVN to all your accounts without visiting the Bank. How To Link Your BVN to all your accounts without visiting the Bank. Some months back, the CBN suspended all accounts that have not enrolled into the recent BVN program, both those that have enrolled with one of their account while they have multiple account were also affected because they have not linked it to their other account. If you have enrolled for the BVN with a different bank before but yet to link your BVN with your other account number(s) may be you have gone to the bank but was disappointed because of the large queues in the banks; don’t worry and be happy because you can do that comfortably at home once you have internet enabled mobile phone or computer. I had wanted to write this post but because the online multiple bank account linking to BVN was having issues when trying to link with other banks so I had to pause and wait when all has been verified. So the happy moment is here, all bugs and issues has been fixed and you can now Link your BVN with all your Bank account at the comfort of your home without stress of going to the bank. Ok, enough of the talking. Follow the Bank links bellow which I have provided to link your BVN with your other bank accounts via their websites, email or SMS. 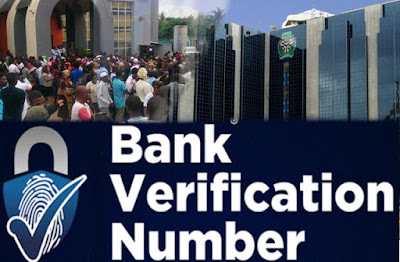 HOW TO LINK YOUR EXISTING BVN NUMBER TO OTHER BANKS IN NIGERIA WITHOUT GOING TO THE BANK. Follow the steps bellow to link your existing BVN number to your GTbank account. · Input the BVN number which you collected from another Bank, then click on submit. · Click on New Request from the drop down menu. FOR ECOBANK NIGERIAEcobank customers can easily link their existinig BVN to their ECOBANK account by simply dialling *326*9# using the phone number you created your ECOBANK account with and type in your BVN number then submit. Follow the steps bellow to link your existing BVN number to your ACCESS BANK account. Link your BVN to your FCMB account through the FCMB internet banking portal for those registered for e-banking, all you need to do is to login to your accountègo to your profileèthen under “NO BVN LINK HERE” just click there and link your BVN. If you make use of skye bank e-banking, login to your account & go to your profile then LINK your BVN from there. I hope this piece of information helps. Please if your bank is not listed above, all you need to do is to walk in to any branch of your bank and request for the BVN linking form from their customer service personnel.